The top court is likely to constitute a three-judge bench for hearing as many as 14 appeals filed against the 2010 Allahabad High Court judgement. New Delhi: The Supreme Court will on Friday take up a batch of petitions in the Ram Janmabhoomi-Babri Masjid title dispute case for hearing. The matter is listed before a bench comprising Chief Justice Ranjan Gogoi and Justice S K Kaul. 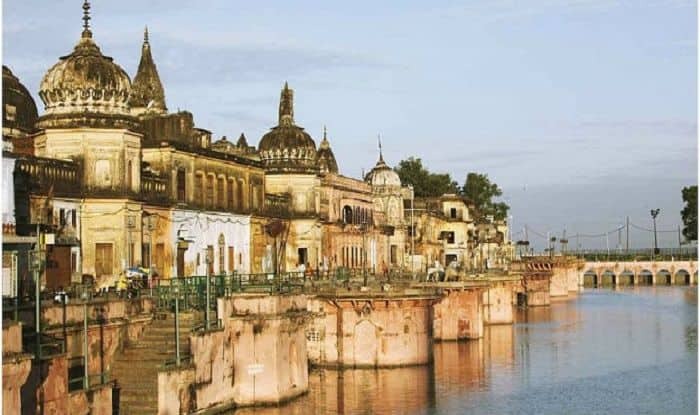 The top court is likely to constitute a three-judge bench for hearing as many as 14 appeals filed against the 2010 Allahabad High Court judgement, delivered in four civil suits, that the 2.77-acre land be partitioned equally among the three parties — the Sunni Waqf Board, the Nirmohi Akhara and Ram Lalla. On October 29, the apex court had declined an urgent hearing on the politically-sensitive Ayodhya land dispute case and had fixed the issue for first week of January before an “appropriate bench” and left a decision on the timeline to it. “We have our own priorities,” said Chief Justice Ranjan Gogoi, rejecting an urgent hearing as the Uttar Pradesh government argued that it was a 100-year-old dispute that should be taken up on priority. A three-judge bench of the top court had on September 27, by 2:1 majority, refused to refer to a five-judge constitution bench the issue of reconsideration of the observations in its 1994 judgement that a mosque was not integral to Islam. The matter had arisen during the hearing of the Ayodhya land dispute. Discontent over the Supreme Court deferring the hearing on the Ayodhya matter, various Hindutva organisations, including the RSS and the Shiv Sena, have been putting pressure on the Narendra Modi government demanding the Centre to bring a law to pave way for the construction of a grand Ram temple at the disputed site. Last month, Union Law Minister Ravi Shankar Prasad had appealed to the Supreme Court to fast-track the hearing in the Ayodhya title suit, stressing if it could happen in the Sabarimala issue, it can be done to resolve this long-pending matter as well. Friday’s hearing assumes significance as Prime Minister Narendra Modi on January 1 suggested that any decision on ordinance on Ram temple can happen only after the completion of the judicial process but asserted that the government was ready to make all efforts to fulfil its responsibility. “Let the judicial process take its own course. Don’t weigh it in political terms. Let the judicial process be over. After the judicial process is over, whatever be our responsibility as government, we are ready to make all efforts,” the Prime Minister said during an interview, broadcast by several TV channels. Welcoming Modi’s remarks as a “positive” step towards the construction of the Ram temple, the RSS said it was in line with a resolution passed by the BJP in 1989 in Palampur in which the Saffron party had committed to the construction either through mutual consultation or an enabling legislation. On October 29, the Supreme Court had fixed the issue for first week of January before an “appropriate bench”. PM Modi has suggested that any decision on ordinance on Ram temple can happen only after the completion of the judicial process.